Hello to everyone. 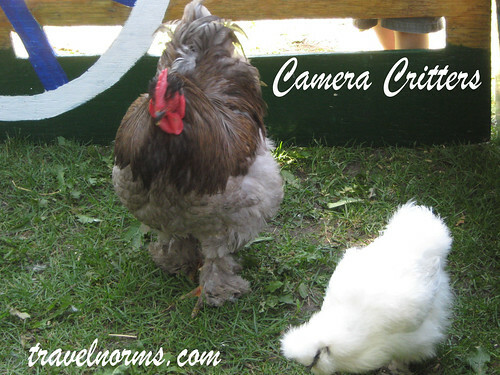 Here's my entry for this week " Chickens" I took these beautiful chickens last Canada Day July 1, 2008. Yes! the white chickens are so attractive with beautiful feathers. They are so cute and first time I saw like these pretty chickens too. Thanks for your comments and have a great weekend to all. Those little white ones are so cute and feathery! I think these are the cutest chickens I have ever seen. The look so soft and fluffy. What a cute chickens. I'm sure the white chickens lay an beautiful eggs! oh my.. these chickens look like the roosters i just saw at a petting zoo!! beautiful! readying for a beauty parade?! Oh my gosh - I LOVE the white fuzzy ones!!! I want some!!! 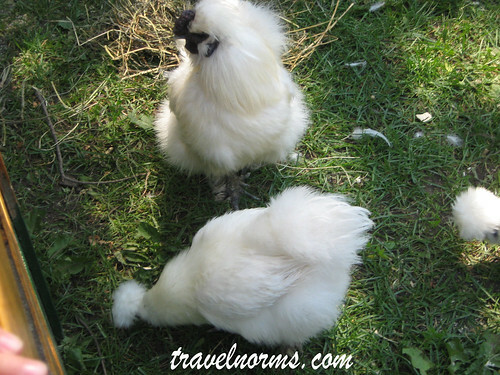 I have never seen chickens like this! They are so pretty! Norm: Must have missed this last weekend, what a great shot of the fancy chickens.